Handling complaints about event bookings at Quaker Meeting Houses. 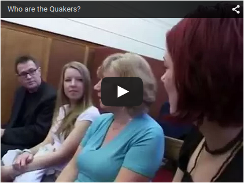 Practical guide: Handling complaints about event bookings at Quaker Meeting Houses. Outlined below are things you might consider if a complaint is made about an event booked at your Meeting House. Preparation, reflective processes and clear judgement are needed. PC – premises committee, or whatever committee manages and authorises room hire. Hirer – the person or organization putting on the event and paying for room hire. Event– the talk, film, discussion, public meeting or activity put on by the hirer. Complainant– the person or organisation who is raising a concern about the event. Meeting – a local or area meeting. Hire conditions: things to include in your room hire policy. • Establish the principle of upholding freedom of expression (in line with Quaker testimonies). • Events should not be unlawful. • Events should be consistent with Quaker principles (not racist, not promoting violence, not promoting illegal activities). • Include an expectation that hirers will provide notification if they think the MH might come under pressure to cancel. This is to avoid the Meeting being taken by surprise and put on the spot to make hasty decisions. • Avoid self-censoring for fear that opposition might arise. This is exactly the aim of the opponents of free speech. o Why do they think the event might be opposed? o Are particular organisations or individuals likely to make a complaint? o What are their responses / answers to the complainant’s opposition? o Has the same speaker, film, activity been held elsewhere? o Have other venues come under pressure to cancel? o If the event went ahead, how was it received? o What risks do they think are involved (e.g., to public order)? o Ask to see a copy of the hirer’s organisational aims and objectives, to check that they are in line with Quaker values. • Set an exclusion period within which an event will not be cancelled, unless there is evidence that laws will be broken or a major violation of Quaker testimonies could occur. • Do not give out any personal telephone numbers or email addresses. • Be prepared to inform the complainant that decisions cannot be made on the spot and might need to wait for committees to convene. (N.B. some complainants wait until the last moment to put in a complaint in an attempt to force a decision). o What is the Complainant organisation? o Who funds the organisation? o What is the job title and role of the representative? o Are they acting in an official capacity? o Have they objected to the speaker/presentation elsewhere? o How did they find out about the event? o When did they find out about the event? o What information do they have about the event? o Which other Meetings, if any, have they made any similar request to? o What specifically are their worries about the event? • Ask for written communication from the Complainant, so that these can be shared with the Premises Committee. • Consider asking the hirer for their responses to the information provided by the Complainant. • Consider whether agreeing to the Complainant’s request for a cancellation is to promote their own agenda. For example, some Complainants have issued a press release to promote their own agenda by co-opting the good name of Quakers. In such circumstances you may wish to issue a press release or statement. • Seek out and consult with Friends within the Area Meeting (and beyond) who have experience in the particular issue. • Be guided by our testimonies. This includes enabling weaker parties to speak truth to power (freedom of speech). • Consider how other parties/wider community (beyond the Meeting, hirer and Complainant) might react to the cancelling of the event. • What will be the effect of cancelling an event on dialogue between hirer - complainant – and Meeting?